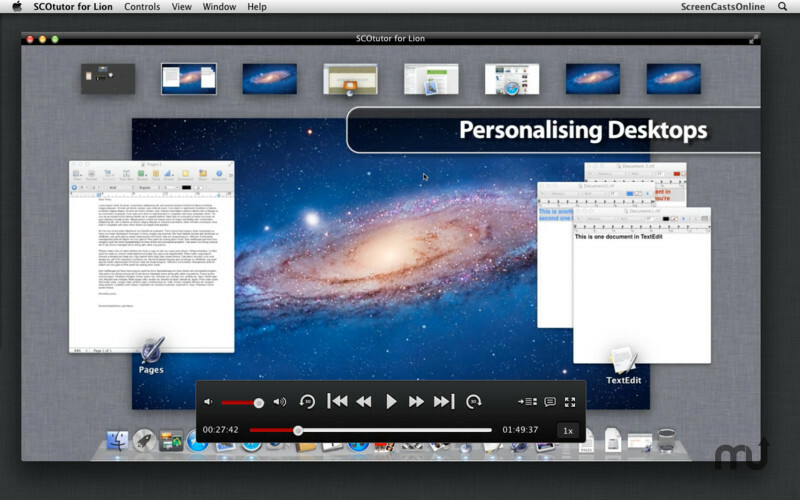 Learn OS X 10.7 in multi-lingual HD video. Is there a better alternative to SCOtutor for Lion? 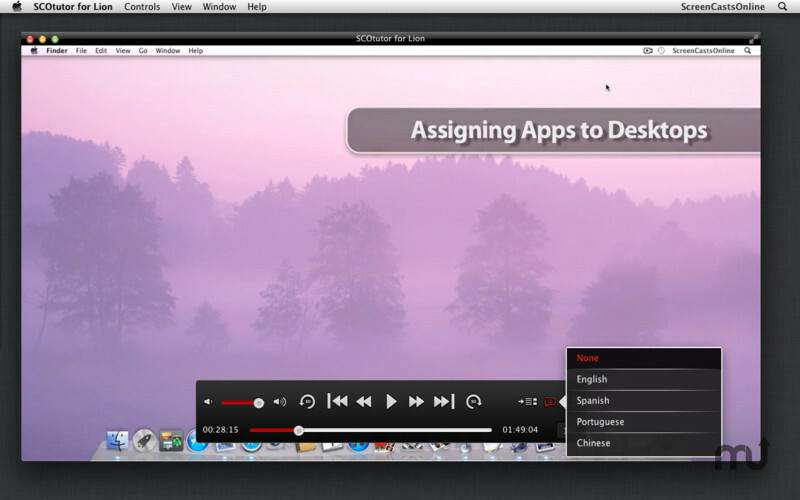 Is SCOtutor for Lion really the best app in Teaching Tools category? Will SCOtutor for Lion work good on macOS 10.13.4? 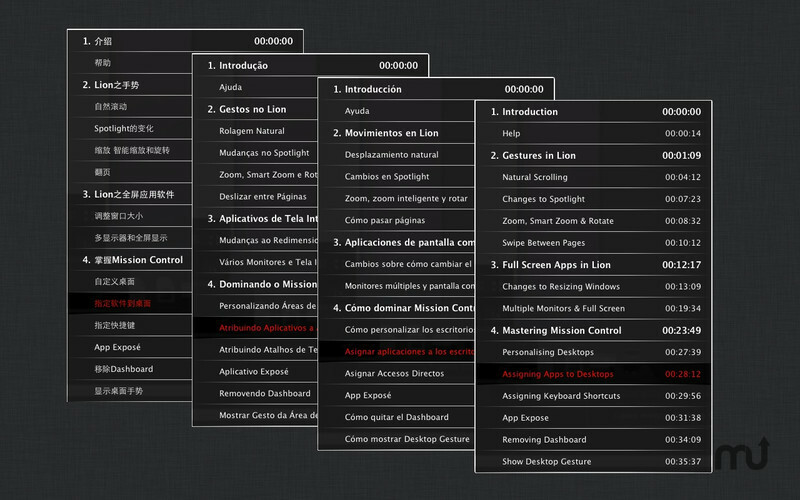 SCOtutor for Lion is a multi-lingual HD video tutorial, designed to quickly teach you many of the new features in Apple's latest operating system - Lion - and is suitable for both new and experienced Mac users. Uniquely, SCOtutor for Lion includes optional on-screen subtitles in multiple, selectable languages - English, Spanish, Brazilian Portuguese and Simplified Chinese - French subtitles available soon! With over six years experience, ScreenCastsOnline has published over 300+ Mac based video tutorials to rave reviews, and is acknowledged as one of the top resources for Mac training on the Internet. SCOtutor for Lion needs a review. Be the first to review this app and get the discussion started! 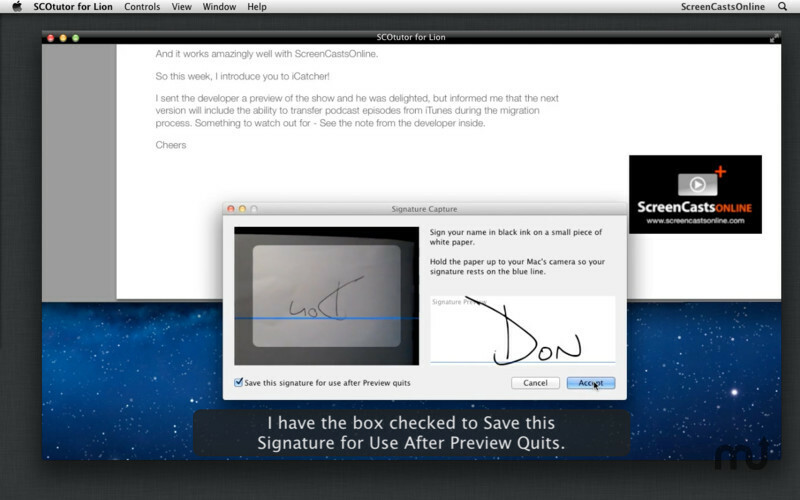 SCOtutor for Lion is the first ScreenCastsOnline tutorial to be made available on the Mac App Store. 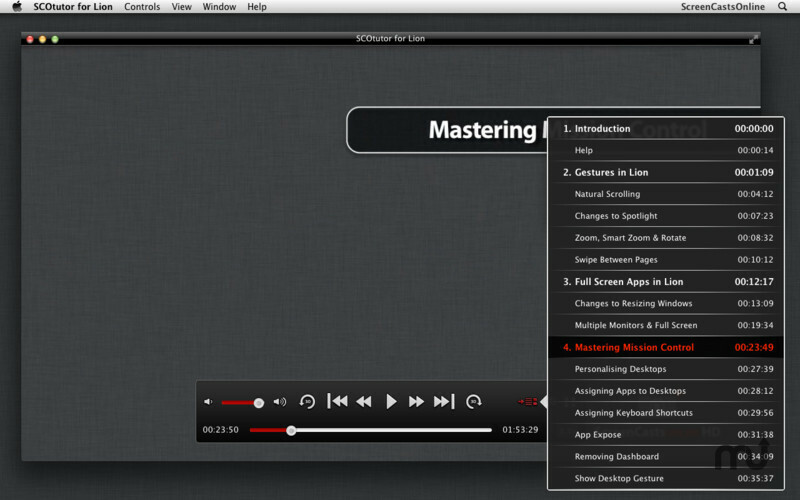 Delivered by Don McAllister, the host and producer of ScreenCastsOnline, the tutorial is over two hours long and covers 12 major topics with over 60 chapters. Display or hide onscreen subtitles via a keyboard shortcut or using the onscreen control panel.